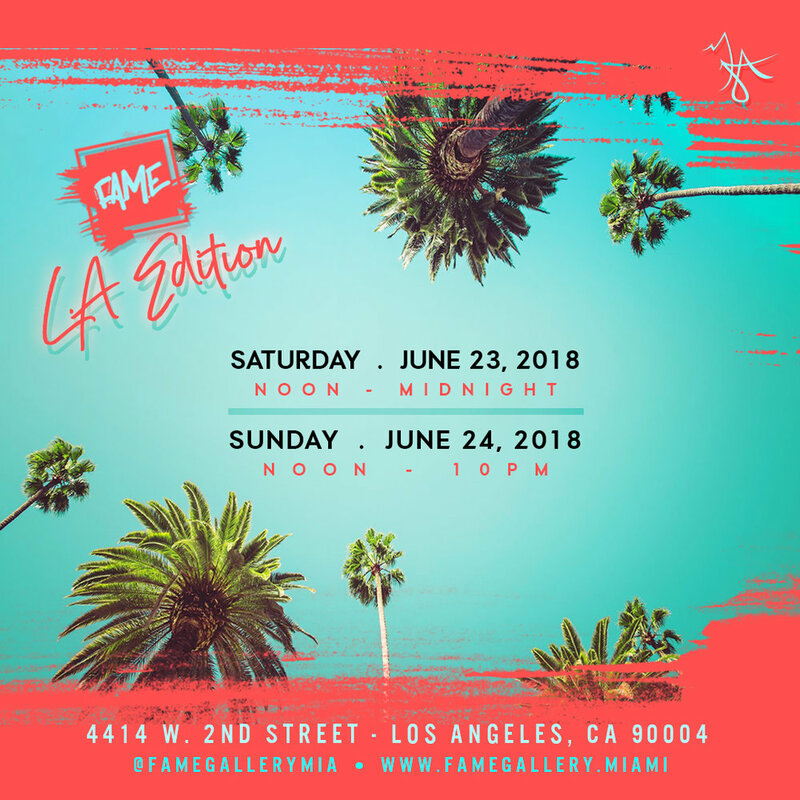 F.A.M.E is an abbreviation for Fashion Art Music Events and showcases just that, different forms of Art in our Gallery & Concept Store pop-up, which was created in Miami, Fl at Art Basel 2015. 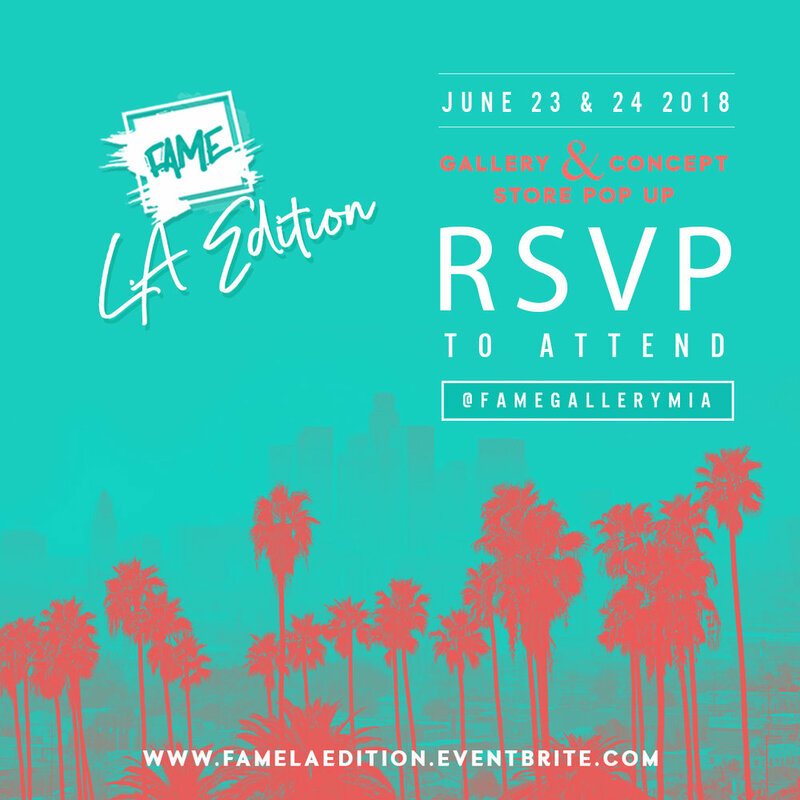 F.A.M.E's mission is to bring together all forms of Art in one harmonious place. It's the bridge between the artist and the community and by traveling and popping up in different locations from state to state and even internationally provides that setting in any environment. Through this growth and expansion the purpose is to inspire other artist and professionals to do so as well. This traveling Gallery & Concept Store is produced & curated by a collective of professionals and entrepreneurs assembled by Anais MJA of PoweredbyMJA and Simply Jess of Simply Jess Productions. Anais MJA and Simply Jess developed a vision by bringing together different forms of arts filled with all types of artist, brands and wearable art, while hosting featured events and live installations. Launching new upcoming brands is something we are known for during Art Basel Miami, we love to be apart of a launch to the world! Last year, during Art Basel Miami 2017, we brought a new found partnership with the non profit organization, The Baller Alert Foundation which will present the opportunity to directly give back and build solid ethical roots in any community while encouraging others to do so as well. This partnership is for Art Basel Miami 2017. This concept brings so much opportunity and exposure to those involved, so continue to follow FAME on this Artistic path, for the journey has only begun. 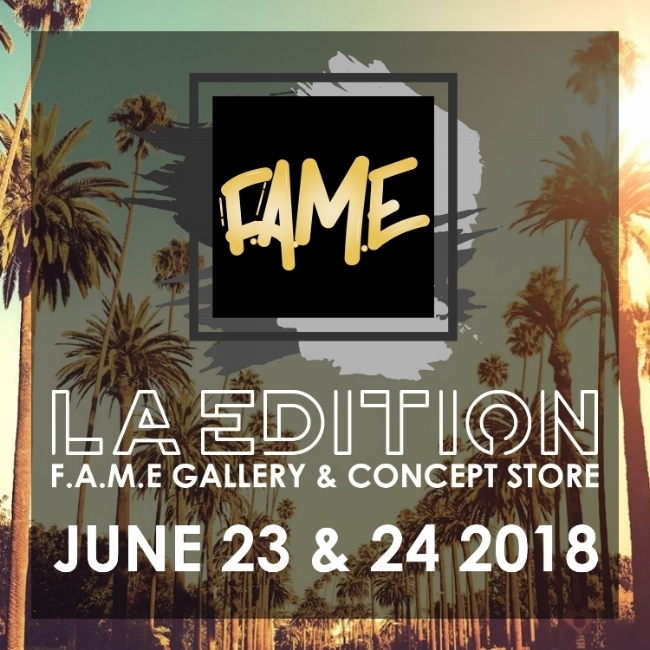 F.A.M.E Gallery & Concept Store is coming to the West Coast for the first time happening on June 23 & 24, 2018 for BET Award weekend!